Christmas Ornaments Made in USA - 2010 White House Ornament Gift Set - A Christmas Ornament Co. The official 2010 White House Ornament Gift Set. 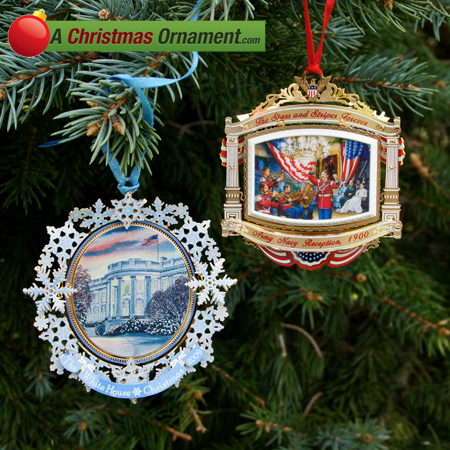 Whether you missed last year's ornament or you are starting a new collection the 2010 White House Ornament Gift Set will save you time and money. Receive a discount when you purchase these two beautiful, official White House ornaments together.